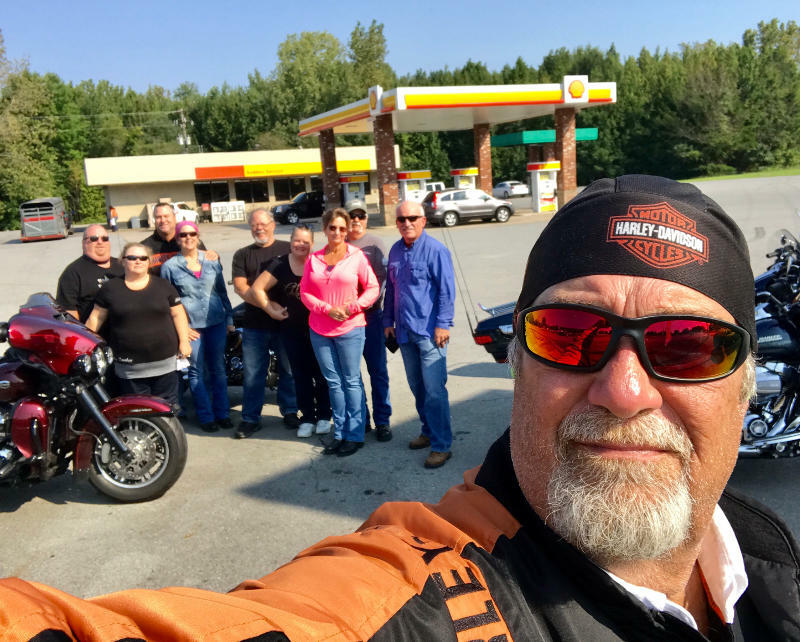 Gainsboro, Tn — On a beautiful Sunday morning in Tennessee, a group of my fellow H.O.G members gathered to take a ride to Gainsboro Tennessee. Our destination? The Bull & Thistle Pub. The ride was gorgeous, and the fellowship was awesome! To say that this restaurant seems out of place in this tiny town of just over 1000 people, would be an understatement. Located in Jackson County, it’s part of the Cookeville Tennessee Micropolitan Statistical Area, just fifteen miles from Cookeville Tennessee. The Bull and Thistle, “Celtic Roots, Southern Roads,” is as delightful a place as you would ever find. It’s a restaurant you would expect to find in nearby Nashville, Tennessee, and when you look at their schedule of entertainment, you would think just that. Scheduled for Wednesday, September 13th, Denny Laine and the Cryers. Denny Laine was a founding member of the Moody Blues and co-founder with Paul McCartney and Wings. See their schedule here. Are you kidding me? That’s worth the drive from here just for that show. But, back to the food. The Bull & Thistle Pub offers the finest Celtic fare from the British Isles and Ireland. The decor is amazing and the service is as good as I’ve ever experienced. Featuring 20 brews on tap, a superb selection of wines, ales and ciders, you won’t go thirsty. Their menu is loaded with traditional Celtic selections. Fish & Chips, Bangers and Mash, Beef and Mushroom Pie, and Hubert Jones’ Meatloaf. I had a fabulous salad, the Gaelic Wedge. A wedge of fresh iceberg lettuce dressed with pickled cucumbers, fresh tomatoes, Applewood-smoked blue cheese and peppered bacon. I dressed it with a delicious vinaigrette. I didn’t have dessert, but I watched several of my crew enjoy some tasty treats, such as, Creme Brulee, Hot Fudge Torte, Chef’s Bread Pudding, and Creme Brulee Cheesecake. I was “blown away” at discovering this little secret, nestled in the east Tennessee hills. Many of my fellow bikers had been here time and time again, and I’m glad I had this opportunity. Did I mention how AMAZING the service was? I’m a tough customer too, so for me to RAVE about the service, you’ve GOT to see for yourself.